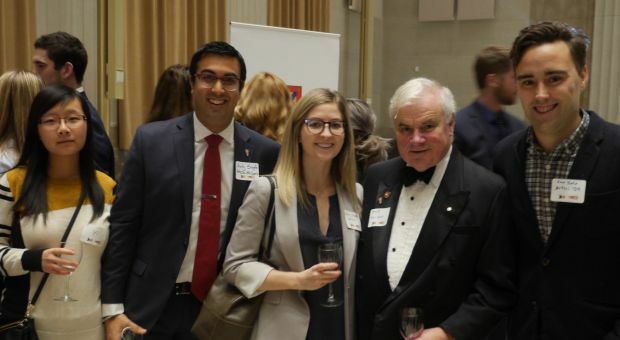 Enjoy some great art while socializing with Queen's alumni at a special event at the new Ottawa Art Gallery near the Byward Market. Our evening will begin with a private reception at the gallery's acclaimed restaurant, Jackson, followed by a guided tour of the permanent collection, which includes works by the Group of Seven, and a current featured exhibition. Organized by Ottawa's Cha Gheill Group, this event is open to all local alumni and their guests. Price includes a drink ticket, four-course menu of hors d'oeuvres, and a private guided art tour.